The DJ Mag Top 100 DJs Poll recently announced its new winner as Dutch DJ/producer, Hardwell, who replaces five-times winner Armin Van Buuren. Hardwell has been crowned the world’s No.1 DJ for the first time, making him the youngest ever winner at only 25 years of age. 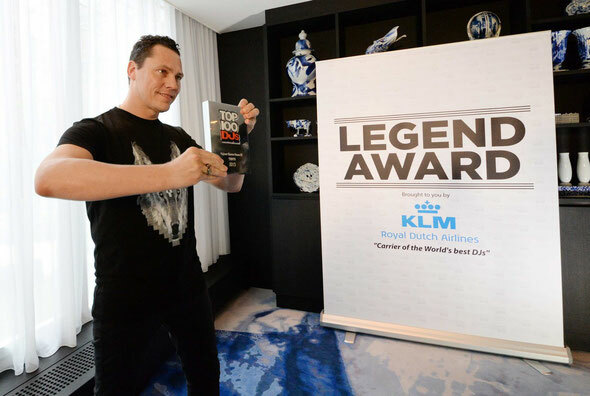 Hardwell received the award at the DJ Mag Top 100 DJs Poll Awards party presented by legendary producer, Giorgio Moroder, held for the third consecutive year during the Amsterdam Dance Event (ADE). The show took place at Amsterdam’s RAI venue as part of the Amsterdam Music Festival, an initiative of ALDA events and ID&T. After receiving the award in front of a capacity crowd at Amsterdam’s RAI venue, Hardwell played a DJ set before flying to London for the UK edition of the DJ Mag Top 100 DJs Poll party at Electric Brixton, held in association with Ministry of Sound. There he joined a line-up featuring Dimitri Vegas & Like Mike, Quentin Mosimann and Bob Sinclar. Released tomorrow, Ministry of Sound and DJ Mag have joined forces for the second consecutive year with a 3 CD album release including a selection of the Top 100 of 2013 across CD 1 & 2 and a special edition bonus CD of the best voted DJ’s from the past 20 years. The 3 CD package includes all of 2013’s Top 10 and all past Top 100 winners.